Liverpool often finds itself being compared to the likes of London, Manchester and Birmingham in terms of investment, development and jobs. But despite several setbacks, we are a city which continues to grow and thrive. In the past 15 years, we have undergone a dramatic transformation and we now need to ensure that we’re in a position to welcome new business to the city. Many large companies, business leaders and start-ups are looking for viable office space to grow or start their companies, and they’re looking towards Liverpool, but are we ready? Liverpool is a key location for office space, we have excellent transport links both to the rest of the UK and Europe, we’re quickly building our creative hub and the average workstation rate is less than any other major city ensuring we’re a city with great potential. In 2015, Liverpool’s Commercial Office Review found that office space take-up had increased to 575,847 sq ft which was an increase of 2.4% on the year before. This highlights that office space in Liverpool is in demand, and we need to cater to it if we want the city to progress and keep up with other cities. Last year, CBRE, the world’s leading commercial property and real estate service advisor, released research on office space in the UK. 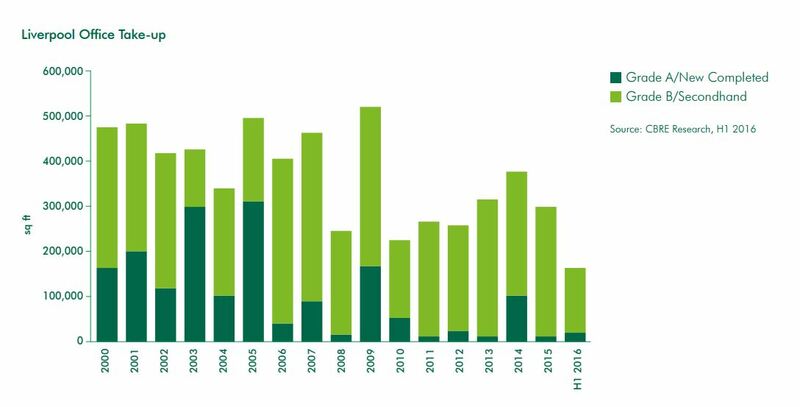 In terms of Liverpool, CBRE stated: “Take up for the first half of 2016 totalled 162,652 sq ft within the CBD, 22% up on the same period in 2015”. The report further went on to say that office space under 5,000 sq ft in the city accounted for 82% of deals and that demand for these offices was ‘fairly consistent’. However, despite the continued interest in Liverpool based office space, we are struggling with available stock. Office supply has gradually been falling and as of Q1 2016, there was 1.4 million sq ft available, down from 1.67 million sq ft at the end of 2015. Signature Works will change that by creating three unique city centre co-working offices. We will provide an opportunity for companies to establish, grow and thrive under the Signature Living umbrella. 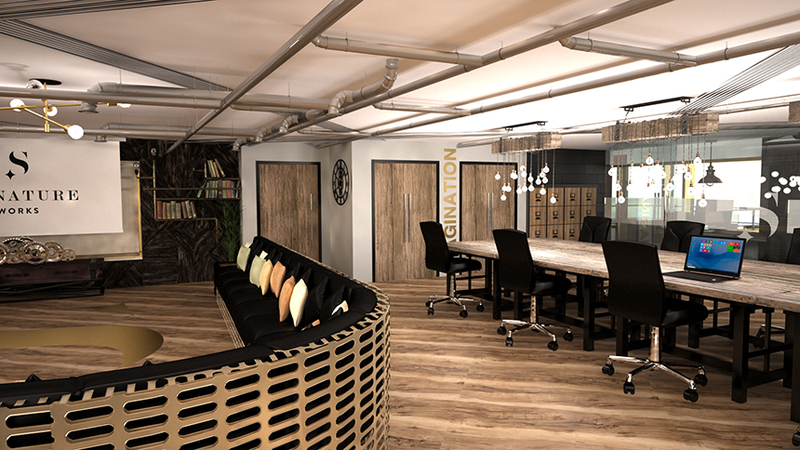 Signature Works will revolutionise flexible office space in the city and will feature open plan desks, private offices and meeting rooms, conference rooms and accompanying facilities. Members will furthermore benefit from high-speed Wi-Fi, secure storage, mail service and 24-hour security as well as a host of Signature benefits including the Signature Privilege Card. Being a part of this scheme will give members discounts across the entire Signature network including our luxury hotels, spas and boutique gyms. Co-working spaces are shared workplaces which are utilised by a number of different companies and freelancing individuals. There is definitely a culture shift in the working world and co-working environments have become a flexible alternative to conventional office space and it’s working. Unsurprisingly, co-working has boomed in the south but the north is catching up, and Signature Works is set to be the driving force behind Liverpool’s co-working offering. The creative and professional industries are growing and people want to be able to network effectively in the same environment in which they’re based, and co-working breeds that. From entrepreneurs to lawyers, marketers and freelancers, all industries come together in co-working spaces and utilise the opportunities and contacts which surround them. In the UK, the total number of centres offering flexible workspace grew by 11% in 2015/16, this highlights the solid growth this market is experiencing and there are no signs of it slowing down. In London, the offering of co-working office space has outperformed the rest of the UK and last year it grew by 25%. However, even though occupancy rates grew in the capital, the level of interest fell below the UK average. Occupier enquiries increased by an average 20% across the UK however, London showed the lowest increase at 9%, this highlights that individuals and companies are looking outside of the capital and we need to exploit this. 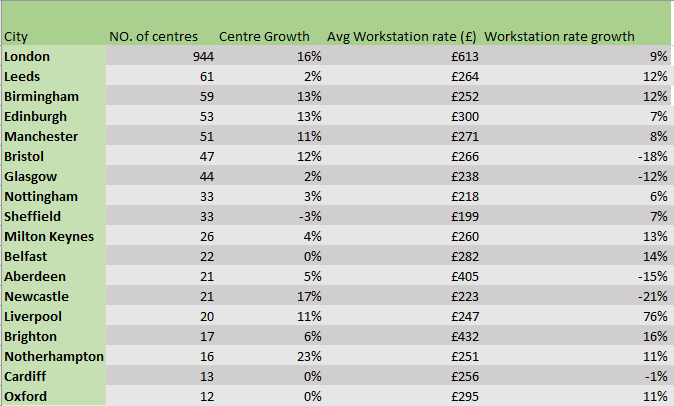 In terms of the North West, there has been consistent growth in co-working space and the market is stable. The Instant Group recently reported that “Liverpool, in particular, has shown strong demand, which in conjunction with limited supply has led to a significant increase in rates although it still represents one of lowest cost cities in which to set up business.” Further to this, Liverpool has seen an average increase of workstation growth 76%, the highest in the country proving there is high demand. The difference between Liverpool and the likes of Manchester, London and Leeds is that they all have an active development pipeline, whereas Liverpool’s office space has appeared to grind to a steady halt, but we’re about to change that. Just last year, Liverpool was named the UK’s most entrepreneurial city by Instant Offices and to me, that is no surprise. The people of Liverpool are resilient, creative and extremely hardworking, in the data supplied by Companies House, it highlighted that for a city with a population of 440,000 there were 57,232 new companies within a two-year period. This ensured that the entrepreneurial average for Liverpool was 16%, significantly higher than London and above the average for Birmingham and Manchester. Start-up companies don’t have the initial cash flow or foresight to commit to a 3-5 year office let, so instead are opting for flexible office space which is affordable, creative and comes without the tie of long, inflexible contracts. To tackle the stagnant office offering in Liverpool, I want to introduce Signature Works, a flexible co-working office space which can be rented daily, weekly, monthly or yearly. Starting off with three key locations in some of Liverpool’s most iconic buildings in the city centre, Signature Works will change the way the people of Liverpool meet, work and do business together. 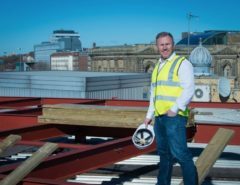 Initially, Signature Works will occupy three landmark buildings, 60 Old Hall Street, The Bling Bling Building on Hanover Street and Arthouse on Seel Street. These co-working spaces will offer individuals, smaller companies and established businesses alike the opportunity to rent space which is needed without the constraints of permanent of long-lease offices. 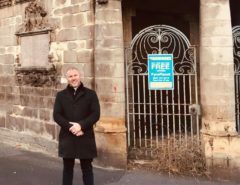 Signature Works will be there to provide members with unmissable opportunities, we already work with town and city councils in Liverpool, Cardiff and Manchester to promote business and rapid urban regeneration and we will be doing the same in towns and cities throughout the UK and beyond. Signature Works is guaranteed to be a melting pot of all businesses and ideas and entrepreneurship which is why we’ve created a dedicated Incubator Panel. Individuals and companies will be able to present their business ideas to a specialised panel who have extensive experience in business and will give constructive feedback and advice. There is furthermore an opportunity for members to offer investment opportunities to the incubator panel, ensuring that start-up companies can grow with the support of Signature. Signature Works is a hugely exciting and natural progression for myself and the Signature Group. It has been proved that the market for co-working office space is thriving and to keep up with other cities, we need to offer something amazing. Signature Works is filling that gap and I’m really looking forward to launching these forward thinking, co-working spaces which will attract business and individuals from all over the UK and Europe.